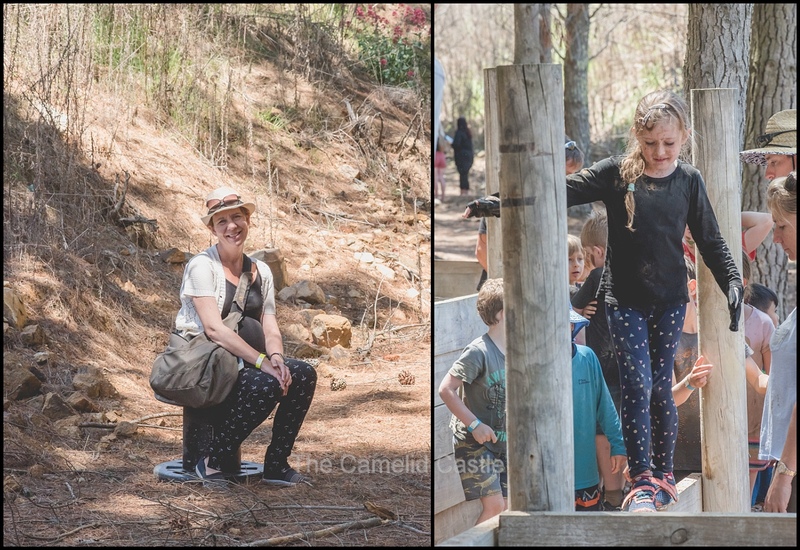 The last couple of weekends we’ve put the house organising, gardening and garage cleaning on hold to get out and about to a few fun things around Canberra with the kids. 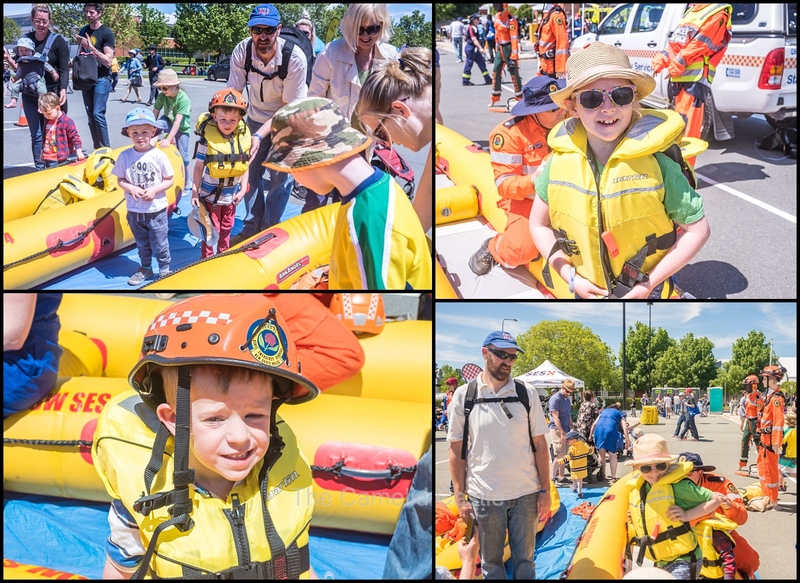 Two weeks ago we finally made it out to the ACT Emergency Services Open Day (after trying for several years and either forgetting or being too busy)……. 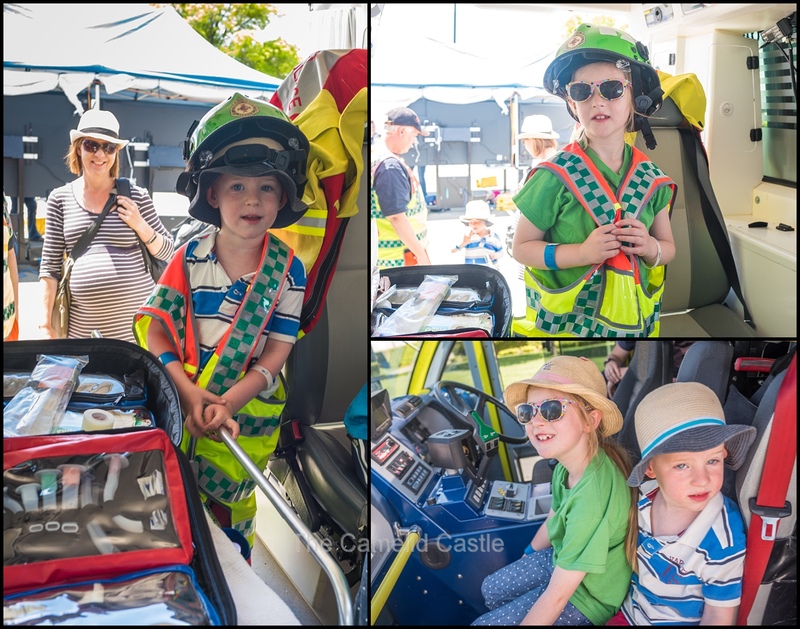 and the kids were in heaven with police cars, ambulances, fire engines and their very first helicopter ride! 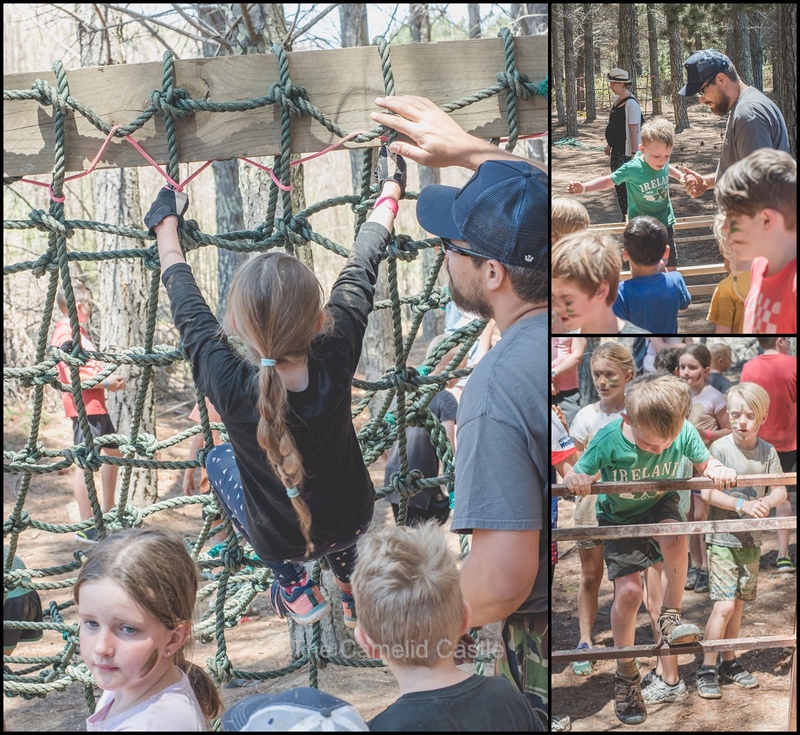 Then this past weekend we somehow thought that them taking part in ‘Operation Kiddyhawk‘ a kids version of Operation Blackhawk was a great idea. 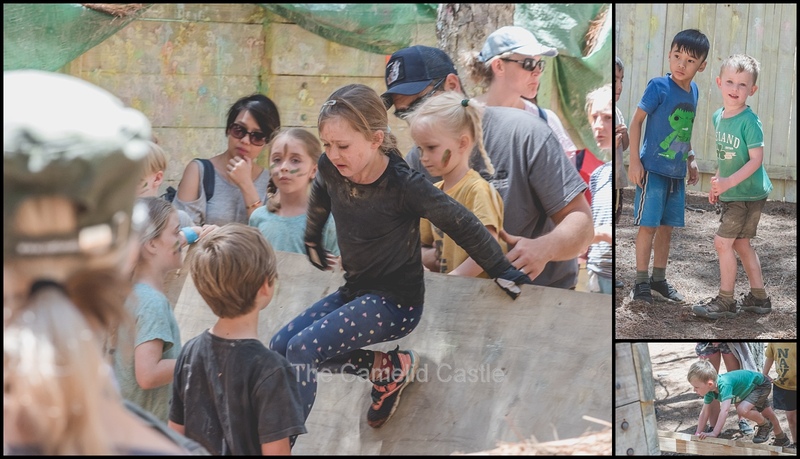 An obstacle course with mud, it was kid heaven……..
First up, on a very warm Spring day we headed out to Fairbairn to the Emergency Services Open day. 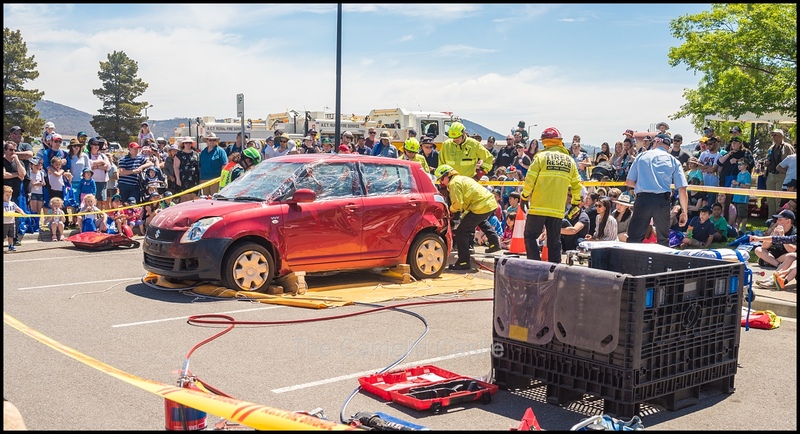 The Open Day was really well set up with lots of emergency vehicles you could climb all over, hands on exhibits, and demonstrations of various rescues. We started out watching a plane being set on fire, and then put out, and then went and found several emergency vehicles the kids could climb on. 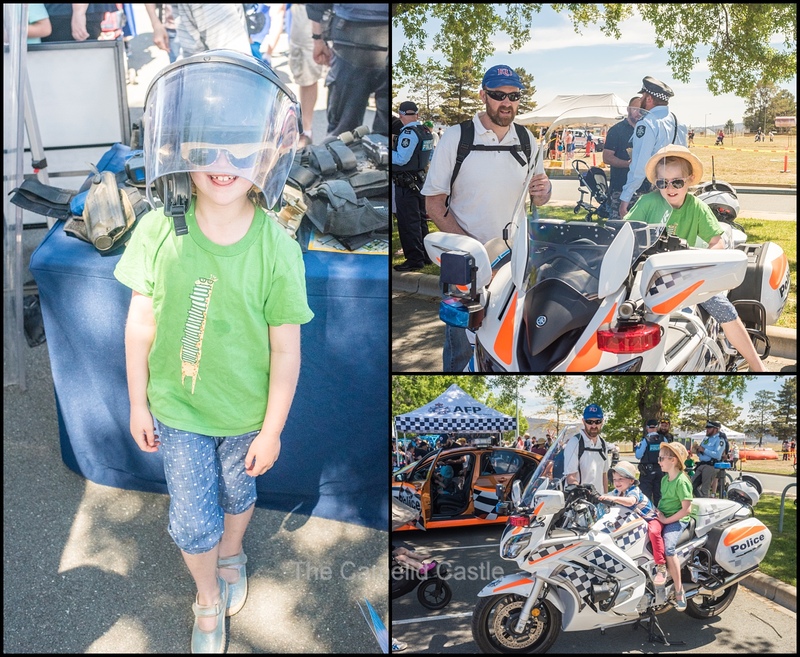 The police bike was a hit as were the bushfire demonstration, and the rescue boats! Then it was time to watch someone be rescued from a car. The kids loved watching a car being cut open! The highlight of the day though would have to have been the helicopter flight! 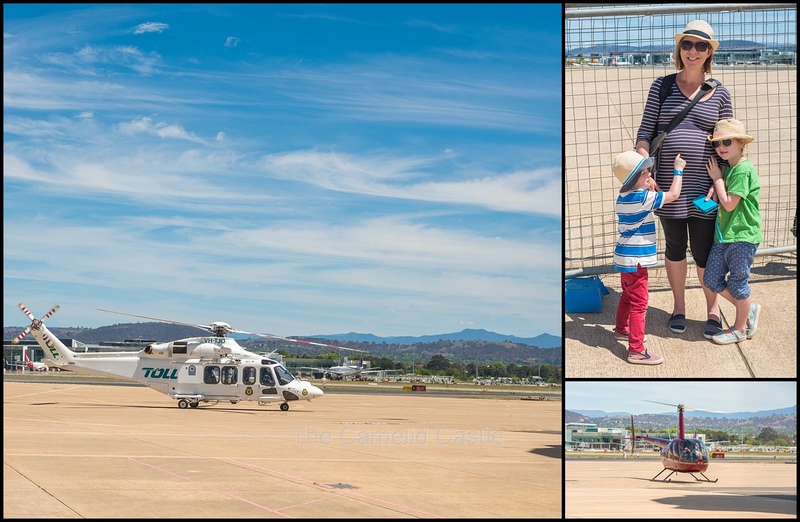 Anto thought that the kids might enjoy their first ever helicopter flight. Of course he just had to volunteer to take them! 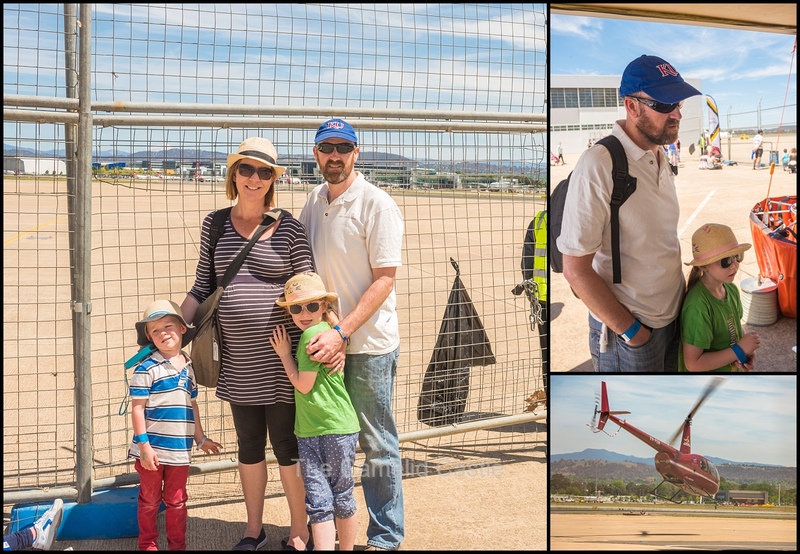 All three signed up for a 10 minute flight over Canberra. I was happy to mind the bags and have a bit of a sit down as it had been a long hot day. Of course we’d been told it was a half hour wait and it ended up being about 2 hours until their flight was called. 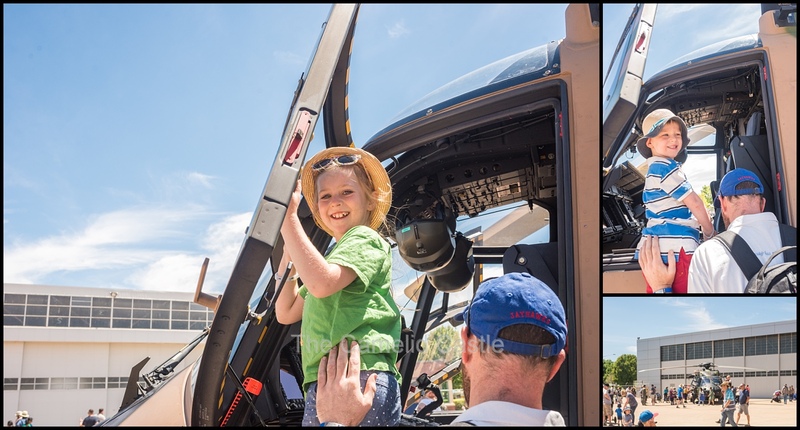 We did manage to wander off and see a few things in between groups going out, and watched other helicopters come in and take off to fill in the time…… but the wait was excruciating for young and excited kids…….. Finally their group was called to the tarmac and I bid them farewell and went and found myself a shady spot under a tree to watch. The open day was very well set-up and we didn’t get around all the displays or see all the demonstrations since we were waiting for the helicopter flight. There was definitely a full days entertainment, and aside from the cost of the flight, it was all free. We think we’ll be back next year. I’m not sure if they’ll con another helicopter flight out of their father though! 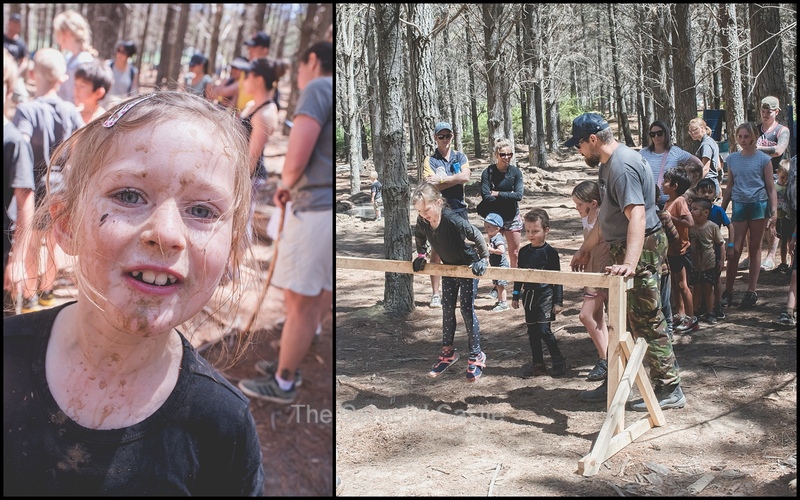 If the excitement of helicopter fights and emergency vehicles one weekend wasn’t enough, we’d signed the kids up for ‘Operation Kiddyhawk’, kids-version of the blackhawk adventure race and mud run. 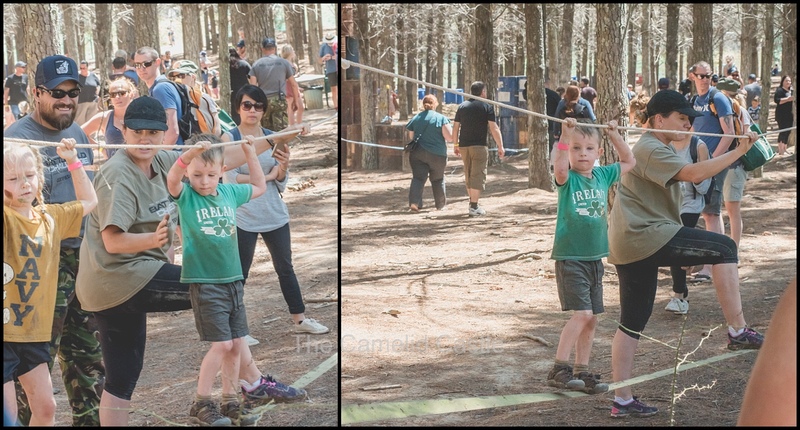 It was another warm day and we were again out at Fairbairn at the Paintball centre. Astrid and Soren were in the same group as school friends Milica, Emil, Felix and Jason. The group of them were all ready to make themselves utterly filthy and have a heap of fun! 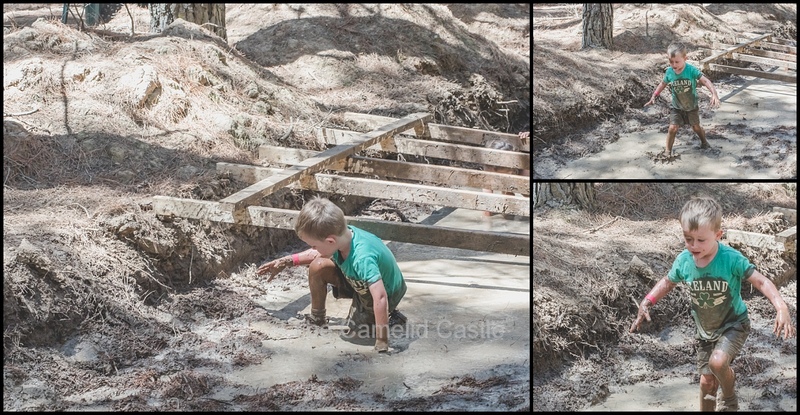 After a quick briefing from their instructor they were off and racing over the first lot of obstacles…… and then straight into a mud pit of freezing water! 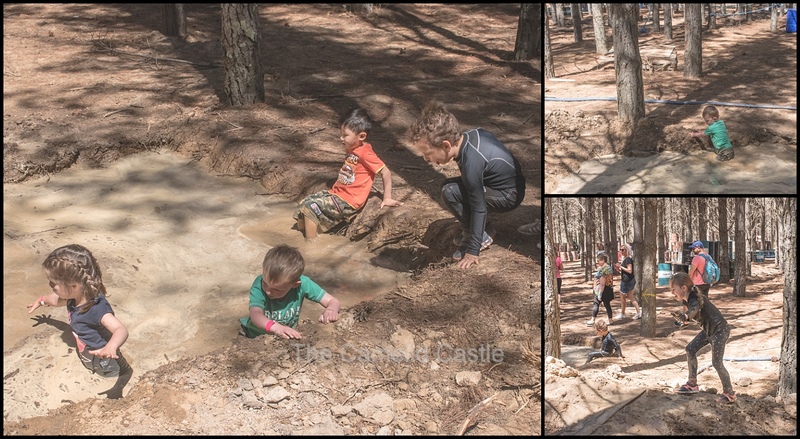 Now soaking wet and muddy, there were plenty more obstacles to come. 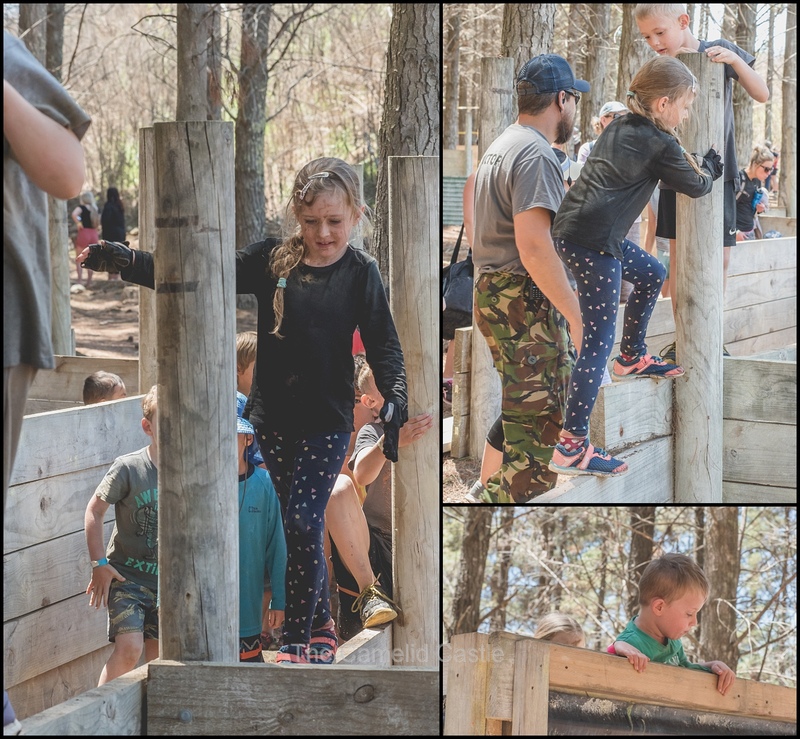 The kids were encouraged to work together to help each other over the obstacles, with a little help from their instructor and sometimes some parents (who were desperately trying not to get coated in mud)! 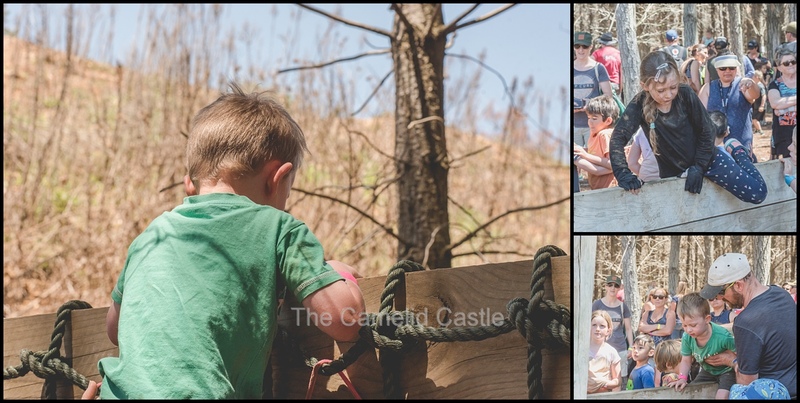 Gymnastic skills were definitely put to good use, with plenty of climbing and hauling oneself over walls and up nets. The kids loved having their friends there and they all encouraged each other. 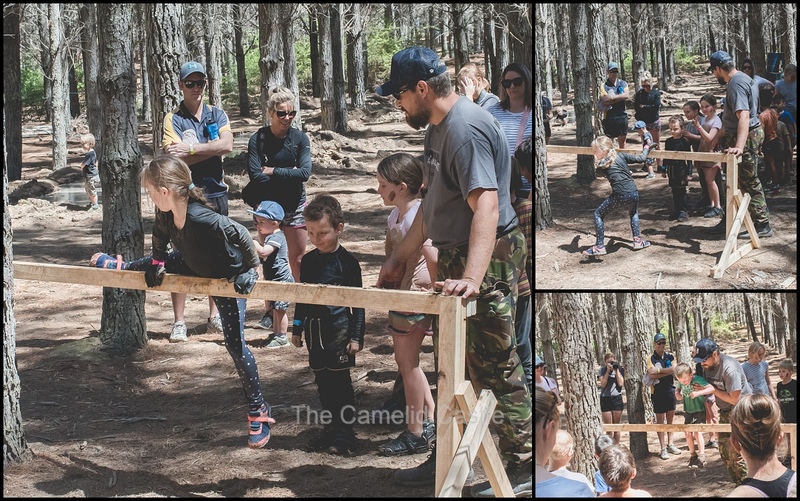 The course is about 2km and used sections of the paintball field, with a variety of challenges for the kids. 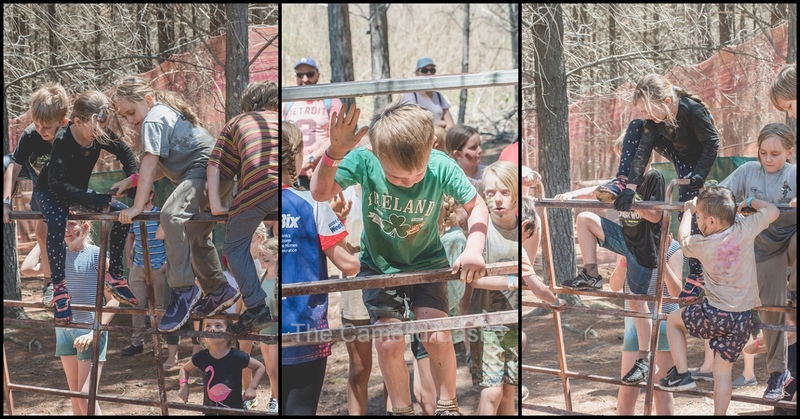 The whole group needed to complete each challenge before moving on to the next one. This meant everyone stayed together and assisted each other, but there was also plenty of standing around for the adults! Lucky it was fairly shady as it was another warm day. After about an hour I definitely needed a seat. If I had of known the set up of the course I would have bought my own chair! I was thankful that it wasn’t too hot in the shade. Although the wet and muddy kids did get a little cold. 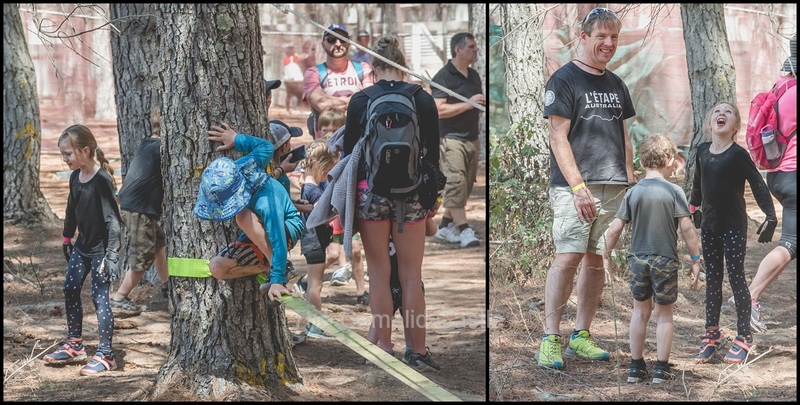 Between obstacles there were some push ups and sit ups to keep them busy and warm! 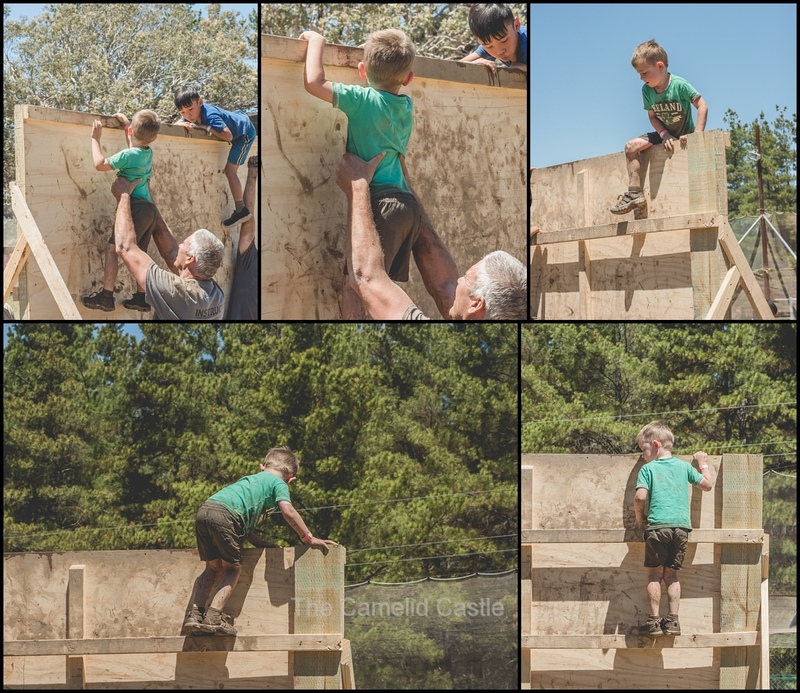 Now all entirely soaked in mud, shoes, pockets and all, it was time for the final obstacles and scaling the large wall (with some adult assistance). 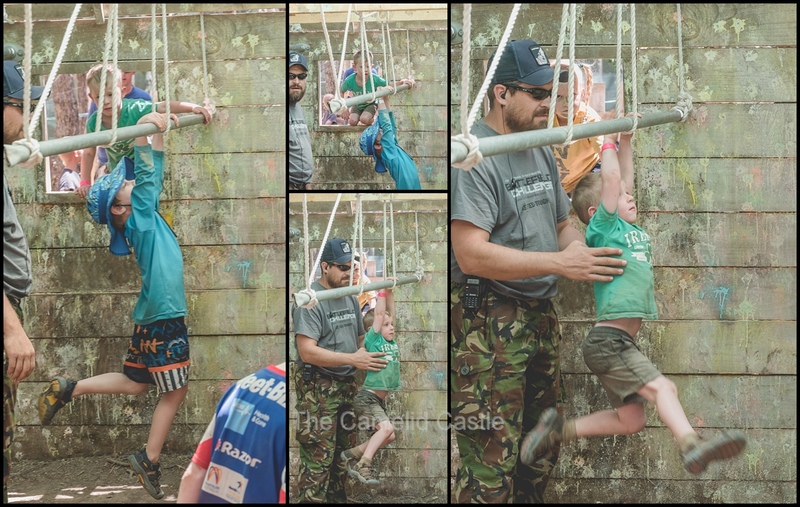 Once over the big wall the kids received their kiddyhawk medals and celebrated completing the challenge. All up it took around 2 hours for our group to complete the course, as it was a large group and there were a lot of younger kids. All of them had a ball and despite the epic cleanup we would happily take them again another year. We had packed the car with garbage bags, water, spare clothes and towels but it was a messy drive home. 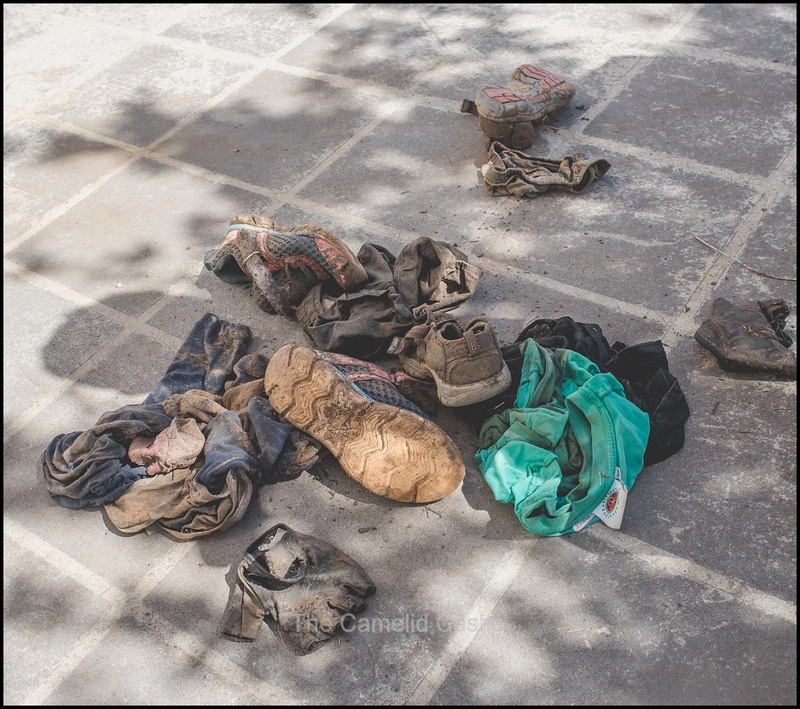 Some hosing off in the driveway was required and that was before the clothes and shoes needed several washes! 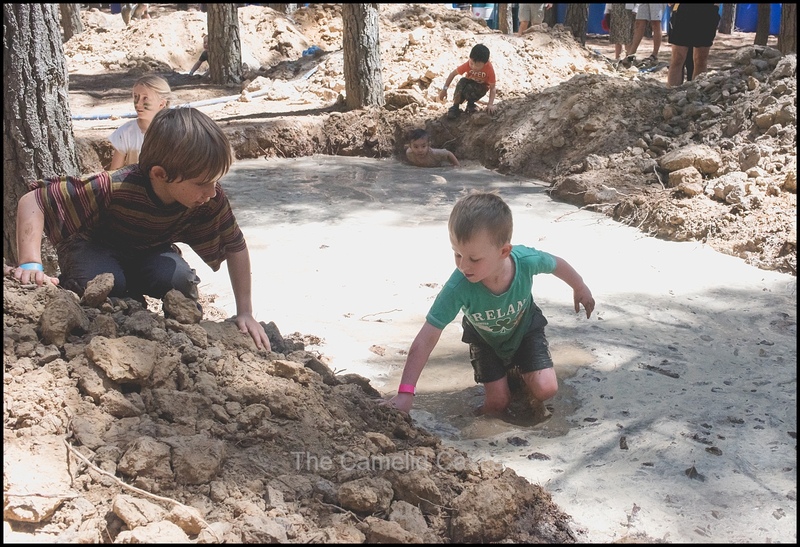 The kids were hosed off, bathed and showered and I think we are still finding mud. It was apparently all worthwhile though with tired and happy kids! 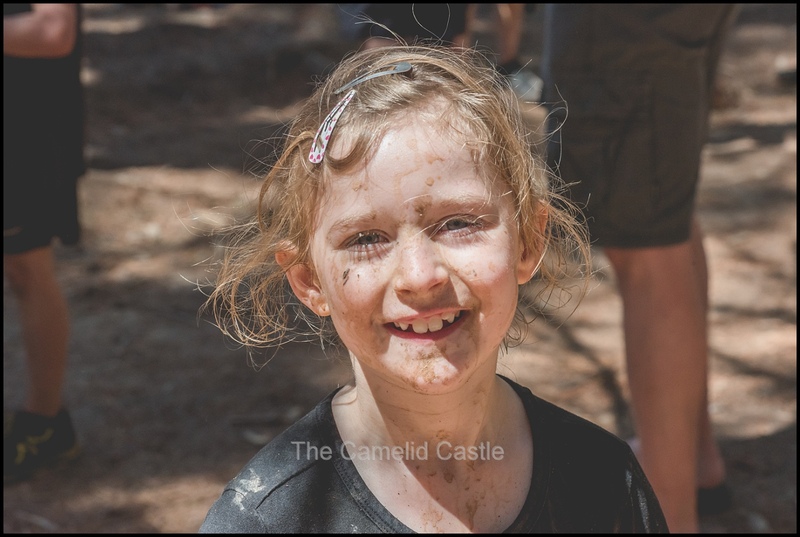 Posted in 5 years, 7 years, Anto, Astrid, Australia, Canberra, Helicopter flight, mud run, Operation Kiddyhawk, Soren, SpringBookmark the permalink.